The Seoul Central District Court recently acquitted – via jury trial – a taxi driver of criminal negligence after he ran over (and killed) a jaywalker. a) The accident occurred on a 14-lane (64-meter-wide) road with no crosswalks whatsoever. b) The accident occurred deep in the night, and the jaywalker was (unfortunately) wearing dark clothes. 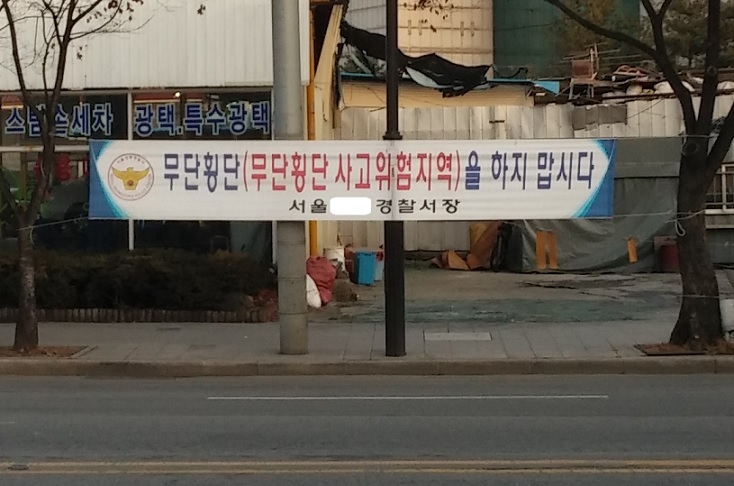 In Korea, motorists can’t just freely run over jaywalkers with impunity. In determining criminal/civil liability, the court will examine whether there was any possibility the motorist could have realistically reacted to (or foreseen) the jaywalker. The same logic goes for cyclists riding on bicycle-only roads. This is because motorists/cyclists do have a duty to “always look ahead and drive/ride defensively.” Thanks for reading! TLDR: A motorist can avoid criminal/civil liability only if there was nothing he/she could have realistically done to prevent the accident.